These are certainly not the most attractive pictures I’ve ever posted, but they certainly make me happy. 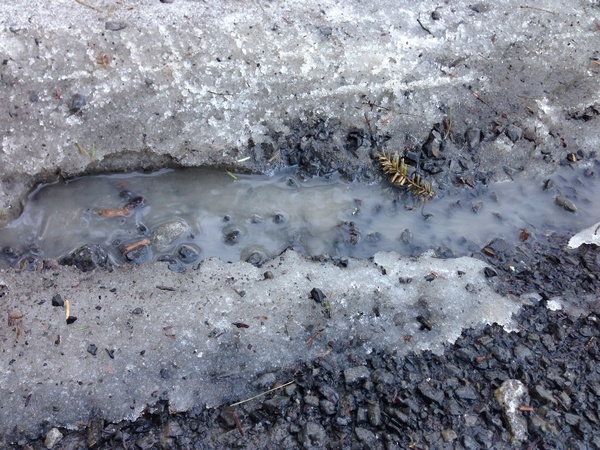 Our driveway is thawing. Yesterday morning, I took my life in my hands on the journey out to get the newspaper. In the afternoon, there was freely running water and huge chunks of bare gravel. 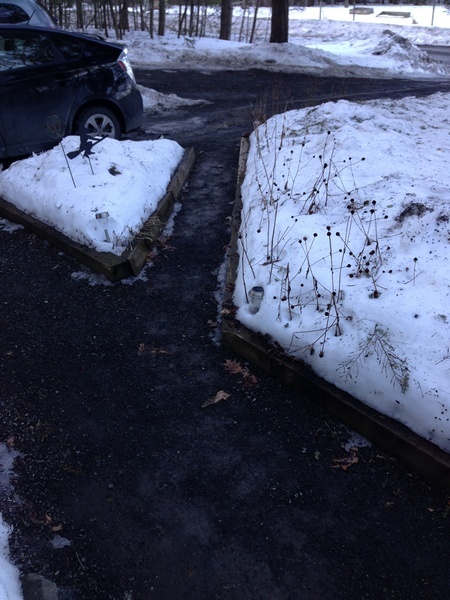 The path from the front door to the driveway is completely gravel and oh-so-pleasant to walk on. It’s supposed to be in the forties for the next few days, which is much cooler than the high of 55 degrees we had yesterday, but at least it’s above freezing, which means the big thaw will continue, albeit more slowly. It may not be pretty but it is a welcome sight!